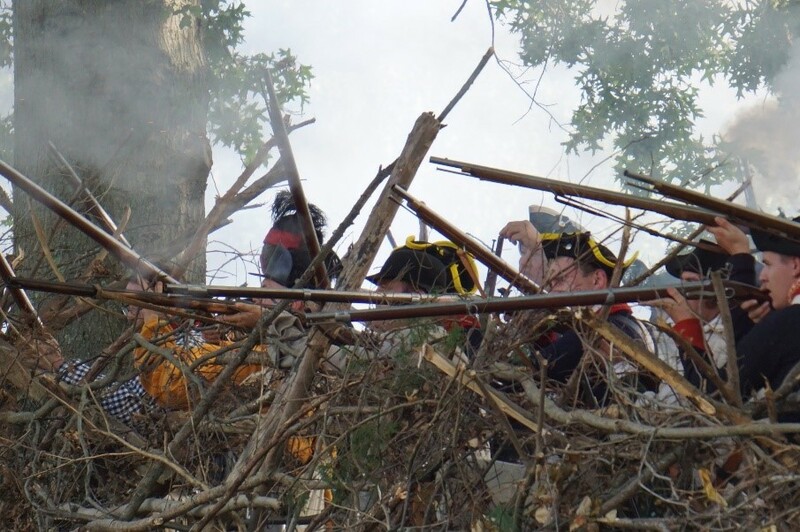 (18/P051) TRENTON – The pivotal Revolutionary War Battle of Monmouth will be re-enacted this Saturday and Sunday at Monmouth Battlefield State Park in Manalapan, the DEP announced today. The battlefield will become the backdrop to skirmishes between Gen. George Washington’s Continental Army and British Redcoats as cannons and muskets fire during the battle, which historians have long considered a strategic and pivotal turning point in the war. 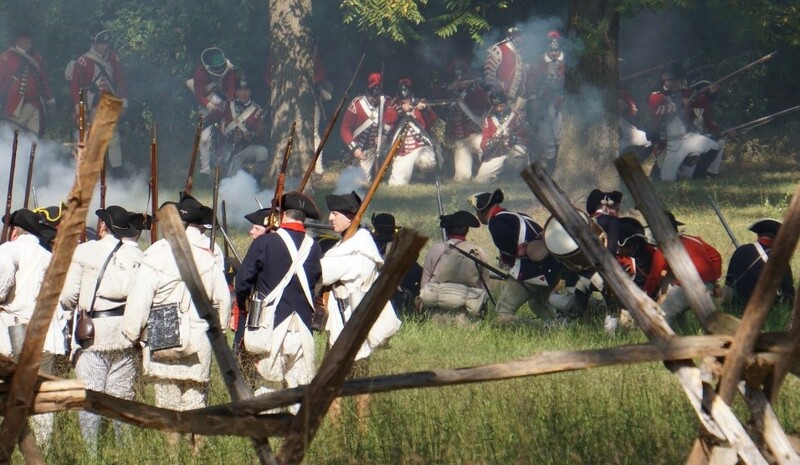 Additional events commemorating the 240th anniversary of the battle fought on June 28, 1778, are scheduled on Saturday, June 23 and Sunday, June 24 at the park’s visitor center. The park is at 16 Business Route 33 in Manalapan, Monmouth County. Several new activities are planned this year. Representatives with the Museum of the American Revolution in Philadelphia will be on hand with replicas of Gen. Washington’s tents and interpret their history for visitors. An ox team from Howell Living History Farm also will be present. The story of Molly Pitcher, the legendary heroine of the battle, also will be told each day. Pitcher, whose real name is believed to have been Mary Ludwig Hays McCauley, reportedly loaded cannons and carried pitchers of water to aid soldiers, leading to her nickname. Legend holds that Molly Pitcher took her husband’s place in a cannon crew after he either collapsed or was wounded. The Battle of Monmouth occurred when Washington’s army intercepted British, German and Loyalist soldiers fleeing from Philadelphia to New York to escape an impending blockade of the Delaware River by a French fleet. Although the British-led troops escaped during the night, the battle happened while the Continental Army was low on ammunition and had spent a brutal winter at Valley Forge. Both sides made leadership mistakes during the battle that may have ultimately helped Washington’s army. The re-enactment weekend is co-sponsored by Friends of Monmouth Battlefield, DEP’s Division of Parks and Forestry, and the re-enactment community. Monmouth Battlefield State Park has an award-winning visitor center that includes windows framing a panoramic view of the rolling farmland upon which the Battle of Monmouth unfolded. Fascinating and engaging exhibits track the battle’s progression and are complemented by park interpretive specialists who bring the battle to life.